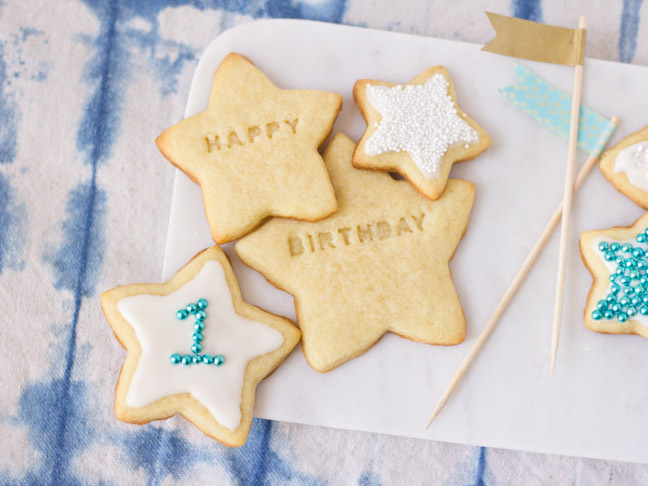 I’m missing my nephew’s first birthday this month, so I decided to make some special birthday cookies in his honor. I thought it would be cool to personalize them somehow, so I wrote him a confectionery message on each little cookie. 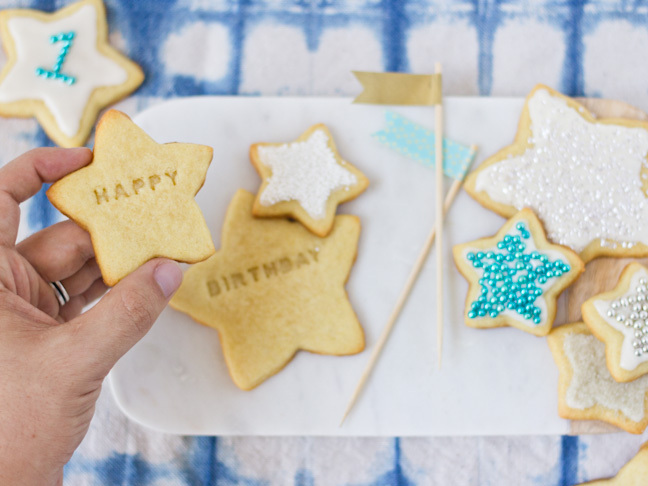 Using your favorite sugar cookie recipe, you can make some really cute message cookies too! 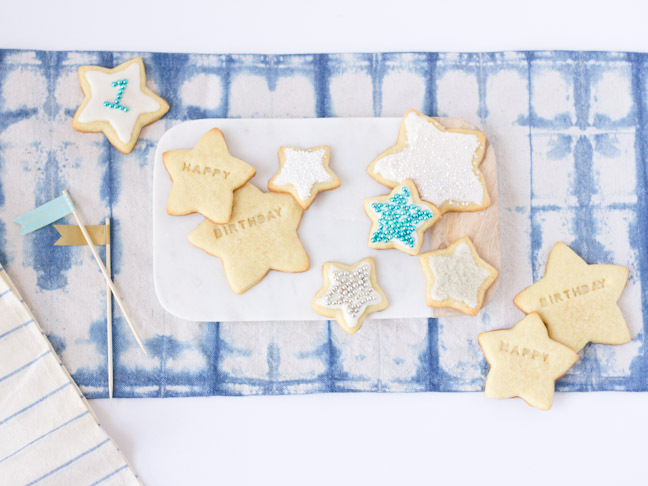 All you need are some letter stamps and sugary decorations. 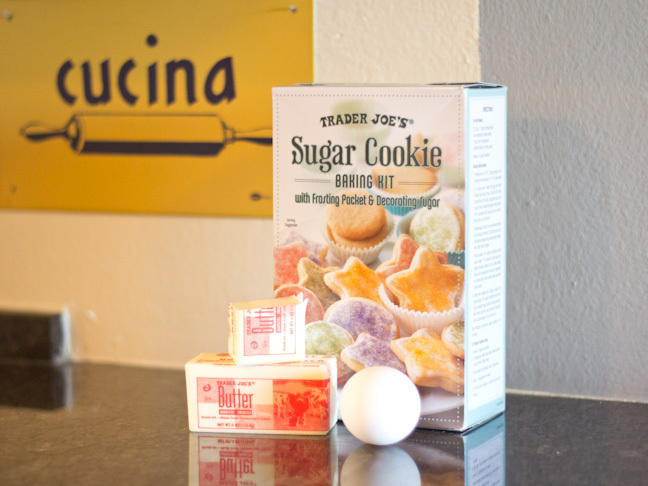 Step 1: Prepare your sugar cookie ingredients and mixing bowls. 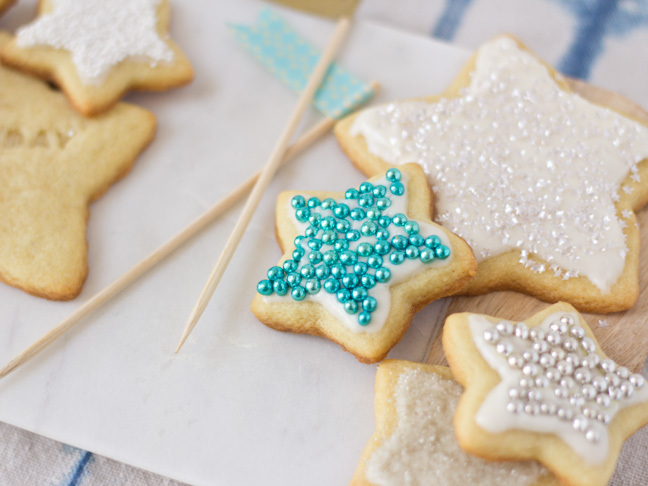 I used Trader Joe’s Sugar Cookie Mix, which is a super easy, no-hassle mix that you can put together in just a few minutes. If you’re making your own from scratch, be sure it’s a recipe where the dough doesn’t spread as it bakes. 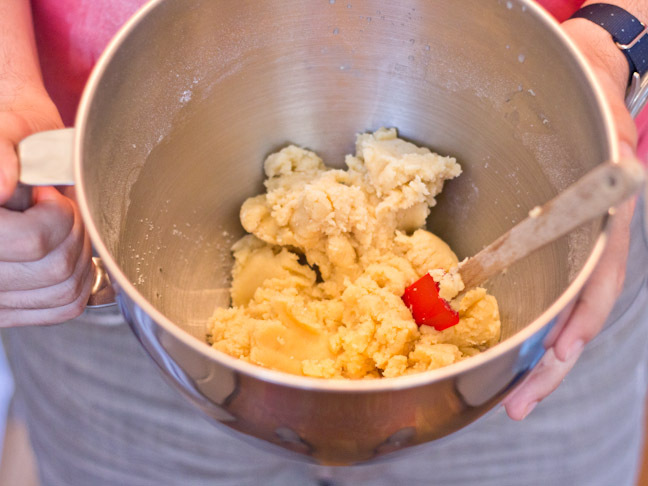 Step 2: Mix your ingredients and chill the dough overnight. 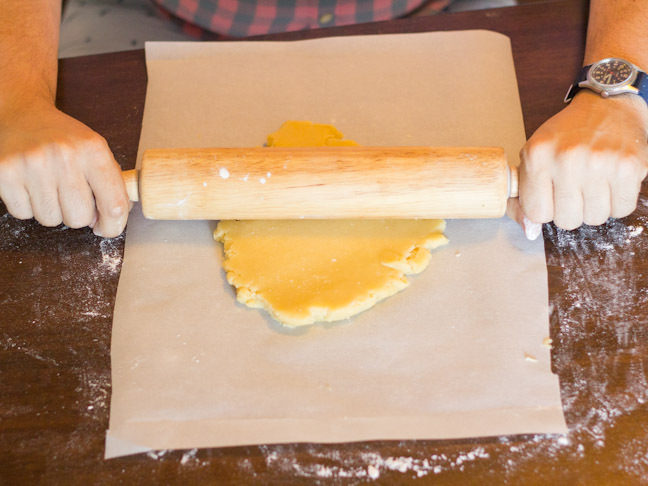 Step 3: Roll out the cookie dough with a lightly floured rolling pin. I’ve found that rolling the dough out directly on parchment paper and then transferring that paper to a cookie sheet helps reduce sticking and also helps the cookies keep their shape. 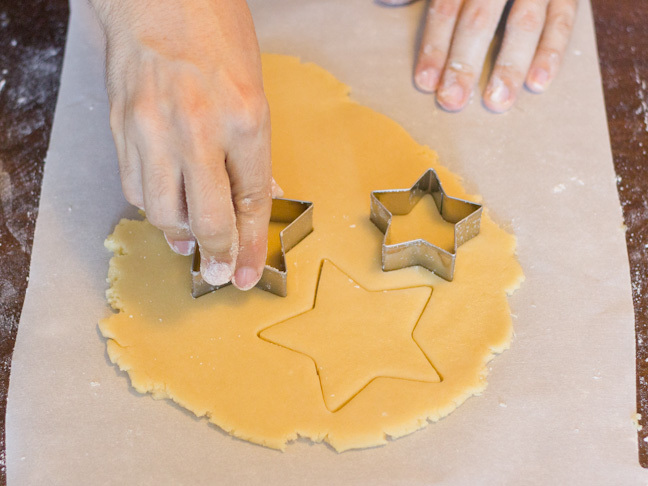 Step 4: Once the dough is about a quarter inch thick, cut out your favorite shapes. At this point, put your cut-out shapes back in the refrigerator to chill them down again before punching in your messages. Step 5: Decide on a message for your cookies. 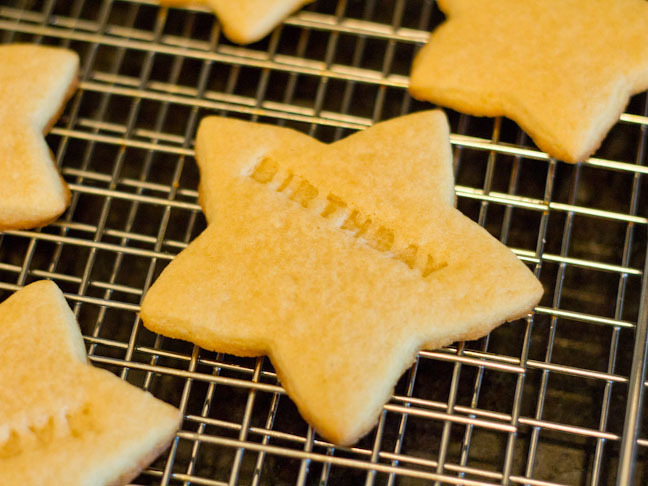 How well your letters stay visible during baking will depend greatly on your dough. If your dough is especially thick and does not expand during baking, you should be fine to punch your message before baking. 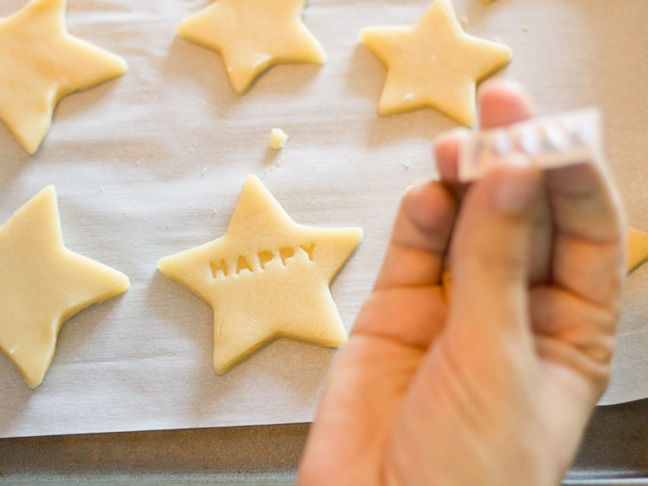 If your dough is a little softer and will expand during baking, you can stamp your message as soon as they come out of the oven while the cookies are still soft. Step 6: Bake your cookies according to your recipe, and let them cool. Now comes the fun part of decorating the cookies with sprinkles and frosting! You can even add more letters and numbers with dragées placed in frosting.